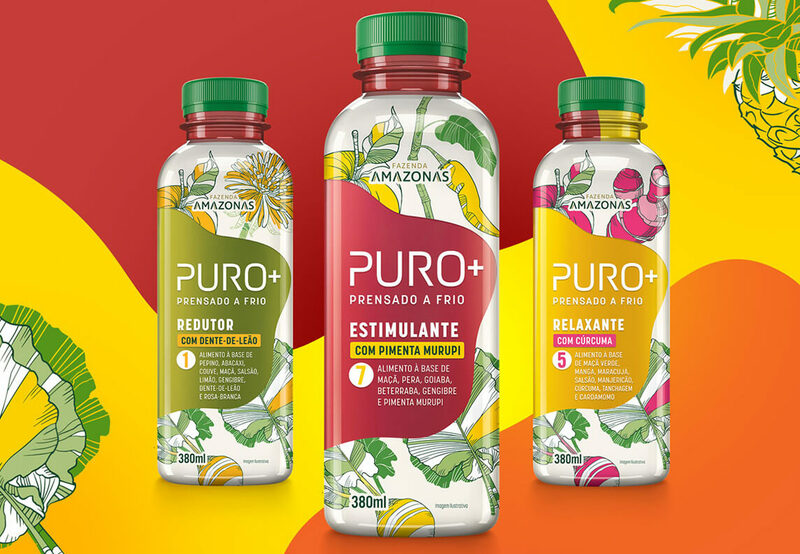 Developing the first line of cold-pressed juices made with the Amazon forest ingredients. Moving away from the minimalist codes of the category, the packaging was developed using organic visual elements that conjure images of flowing water and the wealth of the Amazon’s flora. 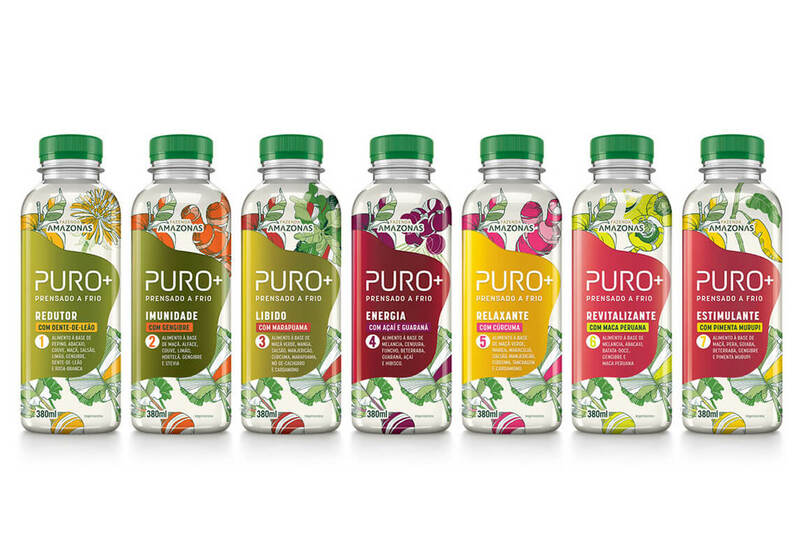 Each one of the juices functional ingredients gained prominence with bright and stimulating colors. The triangular shape of the packaging resembles the ocas, the huts inhabited by the region’s indigenous tribes.